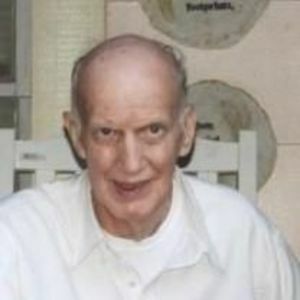 John Arlon Cooksey, 77 of Booneville passed away on Monday, December 25, 2017 at NMMC in Tupelo. He was a member of the Hilltop Church of God, retired from Quartet Manufacturing after 31 years of service. He loved gardening and playing with his dog Ralph. Funeral services will be at 2:00 PM on Friday, December 30, 2017 at Fairview Church of God with Bro. Jesse Hisaw, Sister Mable Cooper, Bro. Marshall Tennison and Bro. Kenny Marcum officiating. Burial will be in the Fairview Church of God Cemetery. Visitation will be on Thursday, December 29, 2017 from 5-9 PM at the church and until service time on Friday. He is survived by his wife of 49 years, Eula Mae Cooksey; one sister, Linda Marcum and her husband Kenny of Corinth, MS; one brother, Larry Cooksey and his wife Wanda of Ramer, TN; one sister-in-law Norma Cooksey of Rienzi, MS and a host of nieces and nephews. He is preceded in death by 6 sisters, Dorothy Barnes-Hunt, Willard Tucker, Anna Belle Venable, Daisy Newcomb, Deanne Newcomb and Dora Dean Newcomb; and 4 brothers, Hubert Cooksey, Marvin Cooksey, Hershel Cooksey and L.Q. Cooksey. McMillan Funeral Home is in charge of the Arrangements.